There's a new update that says it will bring quests and events for the holiday season. You purchase them by color and not by piece. So maybe hold off on updating until there's more info on this. Edit: Looks like they've done the same for furniture, too. They are taking away one of the best things about Sims Mobile. Very easy to "try on" clothing in various colors plus easy to redecorate just by changing colors of furniture, etc. This is just such an overwhelmingly disappointing update. They took one of the things I loved about this game and ruined it. I saw that the men's hairstyle that was 130 simcash (shoulder length w/ a part down the middle, tucked behind the ears) now costs 33 simcash for the grey option. If we assume that all the colors will cost 33 simcash it now costs 561 simcash to get all the color options. I've been trying to get items that I would want but that I didn't want to buy right now - I've spent 50,000 simoleons and 600 simcash. I still have about that much left and I'm deciding between a few simcash items and whether or not to buy all of the Redwood cabinets just in case I want them later and want all the colors. Before this update I felt like I was in such a great place with this game. I had over 100k simoleons, I had over 1,000 simcash, and I had my house the way I wanted it. And I was excited about any winter quest. But now I'm just annoyed and angry. This update is a really bad joke. I'm not paying simcash for their clothing, especially not for just one color. New players are leaving just as quickly as they came, I have the strong feeling that this update will make this even more apparent. I feel bad for players trying this game for the first time after this update, I'd be running for the hills. I've had several of my seasoned players dump the game, this makes it pretty hard to find decent parties. I got a few clothing items for my sims after the update, but only ones for simoleons and just got annoyed how much certain colors of the same thing were. Very disappointed. Agree that I loved getting all color options. Must admit a cheaper one color option for the more expensive clothes may give newer players a chance for a more varied wardrobe. Instead of one piece in 9 colors, you could have several different pieces in the one color of your choice. What I really hate is that the colors vary in price. In the real world generally any color of the same item costs the same. This is could have been a good thing, I agree. Items and clothes costing cheaper to get just specific colors. But that's not what happened. Maybe for one or two items but not for the majority of them. Take this dress, prior to the llamazoom update it was, I think, around 8,000 simoleons. Then the price was increased to 18,000 simoleons and 7 llamazoom tickets. Now it will cost 345 simcash for just the black version. That's beyond insane. You want that dress in white? That's another 345 simcash, please. Yellow? 4,505 simoleons. Red? 13,512 simoleons. That's happening with almost all the clothes. I've not seen any clothing piece that doesn't have at least one color option costing simcash. And the items - a couple of people have said that they've bought a color for an item expecting to get that item in that color only to find out they've just bought that color. Because they didn't buy the default color they didn't get the actual item. Someone posted in a FB page that they spent 200 simcash on a fireplace color but they would need to spend another 220 simcash to actually get the fireplace. Someone else on Reddit said that's what happened to them with the speakers for the guitar hobby. Bought the color but not the actual speakers. And I'm seeing people post that some clothing and makeup from stories (particularly the make up from the spirited friendship story) that they had unlocked prior to updating now cost them money to buy. Some floors, wallpapers, exterior walls are missing completely while others have been changed to simcash options - even if you had purchased them before. And let's not forget that the prices for the home store items we are seeing are the "Sale" prices. EA has a sale that "slashed" the prices of items until December 4th. And, of course, complete silence from EA. 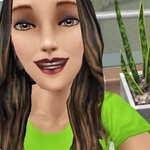 A FB group I'm in (Sims Mobile Community) had a poll last night on which hashtag to use in social media to have a unified front - #SimsNObile won. So if anyone here is on social media like twitter use that hashtag if you are trying to get EA's attention. Wow, all those things stink. Good way to drive away players. Thanks Leah for explaining this correctly. I've just been flabbergasted EA would do something this dumb. I've been on EA's forum as well and crickets there as well. I'll tweet my frustration later, thanks for the hashtag info. In a topic that seems locked and not open for replies EA has posted on their support site that the prices of the new system were unintentional and they're working on fixing it. For a change as large as this and one that they had to know would not be popular the one thing they should have done was make sure it was working properly. And to take so long to address the issue!! There's no mention of the glitches still going on and no mention of the floors and wallpapers that have gone missing. The cynic in me does not believe the new prices were unintentional, although the intensity of player response may have caught them off guard. The loss of already paid for content may have been unplanned and I'm glad they're fixing it.